On September 24, 1716 - over 300 years ago - the Grand Duke of Tuscany, Cosimo III de' Medici, issued a declaration creating the boundaries in which Chianti wine could be created. This area included the three villages of the Lega del Chianti (Castellina in Chianti, Gaiole in Chianti, and Radda in Chianti) as well as the village of Greve and a 3.2-kilometre-long stretch (2-mile) of hillside north of Greve near Spedaluzzoi. This designation persisted until 1932 when the Chianti designation was enlarged and and divided into seven sub-areas: Classico, Colli Aretini, Colli Fiorentini, Colline Pisane, Colli Senesi, Montalbano and Rùfina. The Classico designation refers to the historical area now celebrating it's 300 year anniversary. 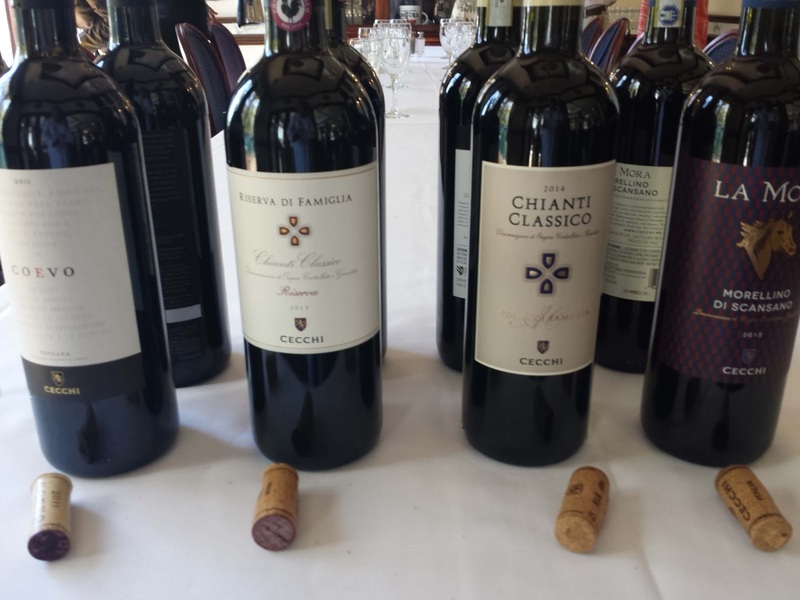 Currently, the blend for Chianti Classico designated wines must comprise at least 80% Sangiovese, with the remainder comprised of other approved red grape varieties such as Canaiolo, Colorino, Cabernet Sauvignon, Merlot or Syrah. 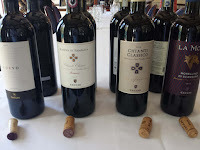 The use of white grape varieties such as Malvasia and Trebbiano have been prohibited in Chianti Classico since 2006. 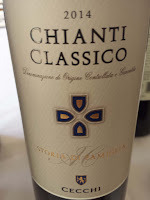 Chianti Classico must also have a minimum alcohol level of at least 12% with a minimum of 7 months aging in oak, while Chianti Classico's labeled riserva must be aged at least 24 months at the winery, with a minimum alcohol level of at least 12.5%. You may recognize Chianti Classico wines by the Black Rooster (Gallo Nero) - the official symbol of Chianti Classico since the 1930s, but the image dates back to 14th century Florence. Last week I was able to celebrate the 300th anniversary of Chianti Classico with Andrea Cecchi from Tuscany's Cecchi Family Estate. While dining at Ristorante La Perla, our party listened to Andrea discuss the region and his winery while enjoying several of the winery's Chianti Classico and Maremma Toscana wines. The Chianti winery is located in Castellino in Chianti, one of four municipalities entirely within the historical boundaries. Andrea and his brother Cesare are 4th generation winemakers as the winery has been operating since 1893. 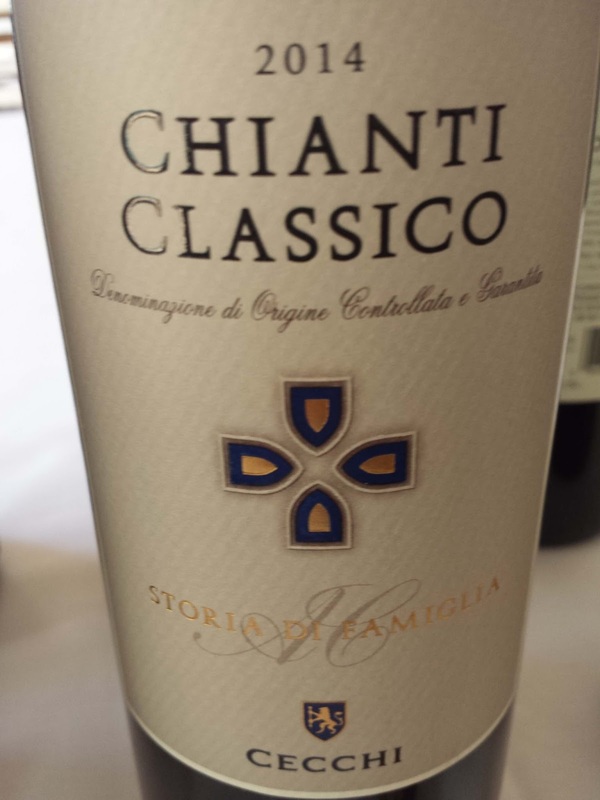 His Father expanded their estate to include vineyards in Maremma Toscana, which will be the focus of a future post. As for the Chianti Classico estate, expect a total wine and food experience when visiting with an onsite restaurant and vineyard tours. Here are three wines you could sample. Cheers to Cecchi and Chianti Classico. 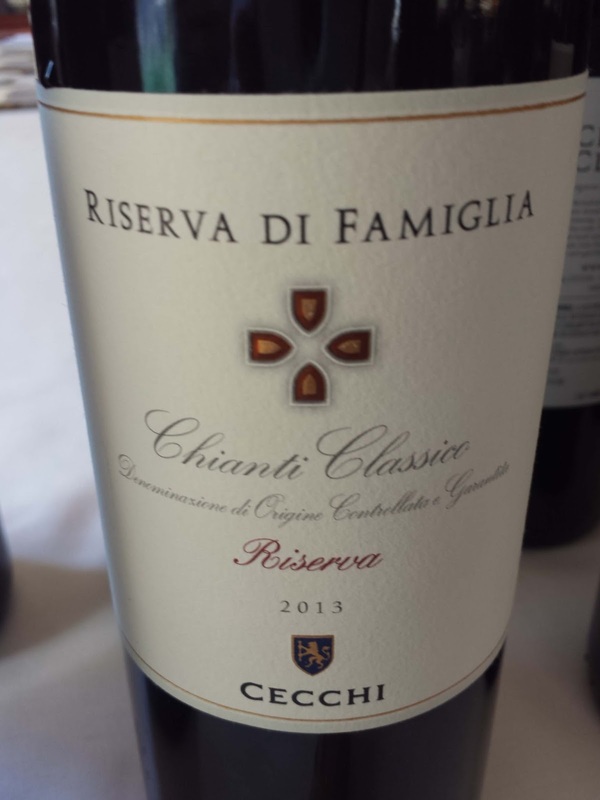 2014 Chianti Classico ($20.99): 90% Sangiovese that starts with a refreshing fruit forward character.which transitions to a well rounded, structured, and lingering finish. Perhaps from the acids. A complete bargain at this SRP. 2013 Chianti Classico RSV ($40.99): 90-10 ratio between Sangiovese and Canaiolo and Colorino; a wine which the winery has been producing since 1987. This is a bigger wine, with tobacco on the nose, structured, full bodied, yet an easy finish even with more noticeable tannins. 2011 Coevo ($105.99): Coevo translates to contemporary and this wine honors Andrea and Cesare's father by utilizing the best lots from the Chianti and Maremma Toscana estates. 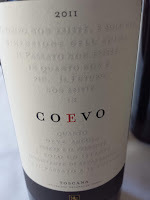 The wine is always 50% Sangiovese with the 2011 model including Cabernet Sauvignon (Chianti Classico) and Merlot and Petit Verdot from Maremma. The individual varietals are aged 18 months in oak, blended, then aged an additional 6 months in oak. The winery then holds back the bottled wine for one year before release. That's a heavy investment but it pays off with a tremendous wine. This wine is powerful - cut and blended right through the fat in my wild boar entree. Even with this intensity there's an elegance to the wine giving it that wow factor. During our annual summer trip to Ocracoke I try to bring home a couple North Carolina spirits available at the island's ABC store. One was the Troy & Sons Platinum Corn Whiskey and the other was the Copper Barrel Distillery White Lightning Moonshine - available in a 375 ml bottle ($14). 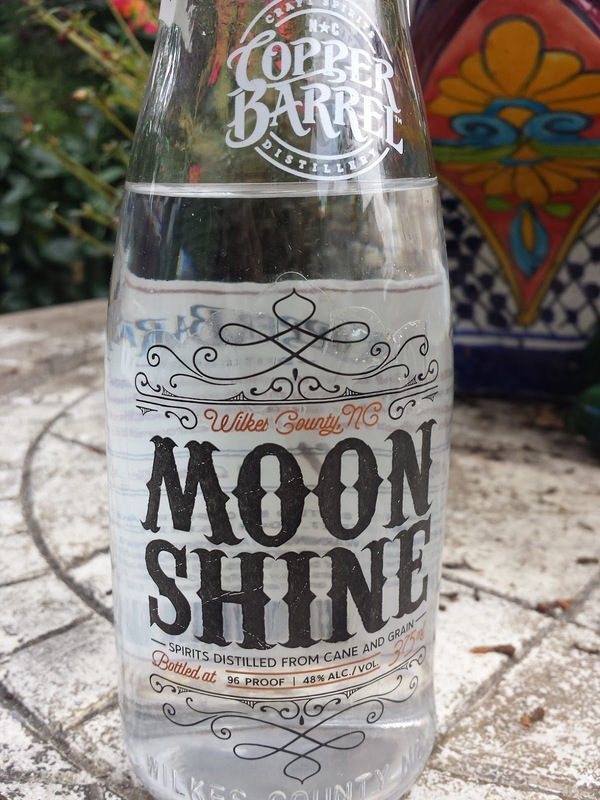 This distillery is in Wilksboro, situated half way between Boone and Winston-Salem, which they refer to as the "Moonshine Capital of America". Master Distiller Buck Nance has developed a recipe for this whiskey that is quite unique; it's not just 100% corn, but includes locally grown rye and corn as well as cane sugar. The water source is the Crystalline-Rock Aquifer. The result is a very interested 'shine, complex in flavor, with a low to medium burn. The rye provides a little spice and the corn and cane a sweet profile to dampen the 96 proof. Can't wait to visit during my next wine trip to the Yadkin Valley or Merlefest. Cheers. 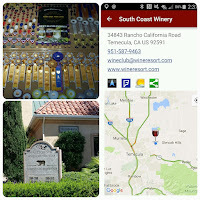 During our craft beer centric stay in San Diego, we did allocate one afternoon to visit wine country - choosing Temecula Valley or Southern California's Wine Country as they refer to themselves. 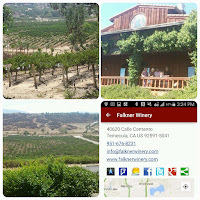 This wine region is located 90 minutes south of Los Angeles and 60 minutes north of San Diego off I-15. 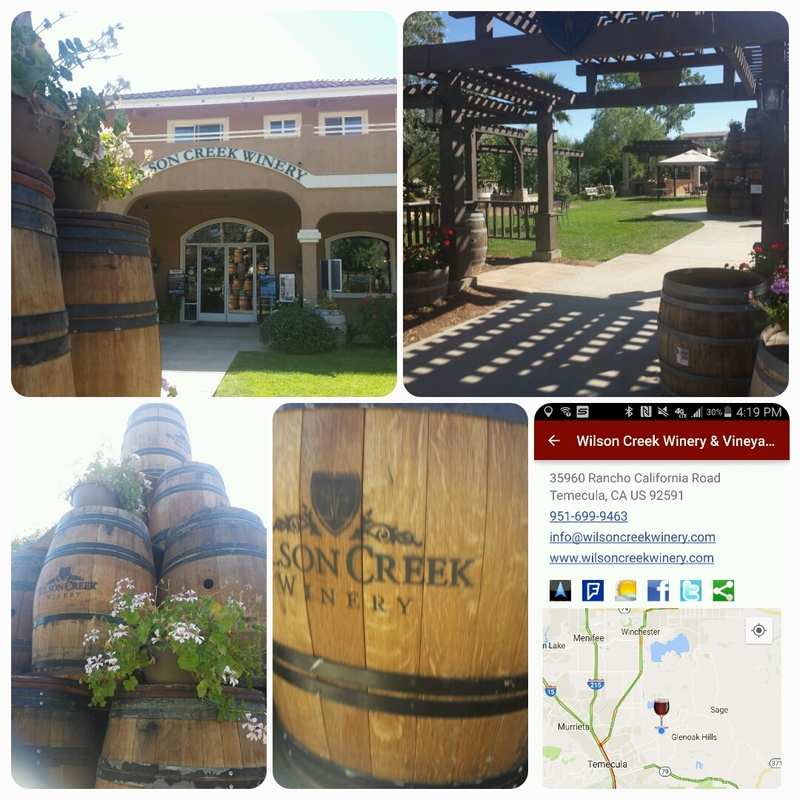 The community boasts 35 wineries - all situated due east of Old Town Temecula - and grows over 50 grape varieties. The first modern winery, Callaway Vineyard & Winery, opened in 1974 and the region gained its AVA designation in 2004. The landscape is very scenic, dry rolling hills interspersed with lush green vineyards. And the wineries are tightly packed making a wine excursion quite simple to navigate. 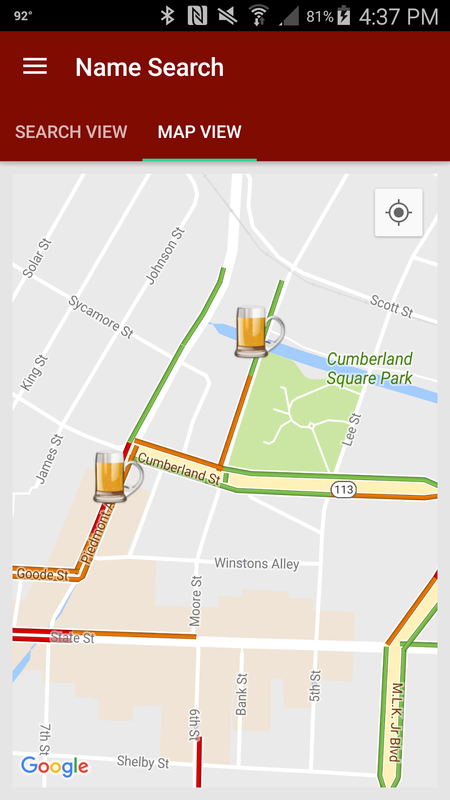 And as always, theCompass Winery, Brewery, Distillery Locator Mobile App helps. Our first stop was at South Coast Winery, prehaps the most prolific producer in the region. The winery was established in 2003 and since then has been awarded the Best California State Winery four times (2016 the latest). Besides the extravagant facility - it includes a resort and spa - they produce wine from at least 20 grape varieties including many Rhone such as Grenache Blanc, Viognier, Roussanne. These three are blended into a delicious GVR and also bottled as 100% varietals. Excellent wines. Another tasty white was the 2015 California Verdelho, with its lemon profile, velvety texture, and fresh acids; it reminded of the new Nationals star Trea Turner - light and speedy, but possesses surprising power. 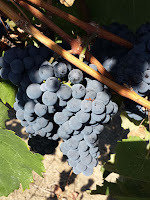 As for reds you can remain in Portugal with a solid Touriga, move to Bordeaux with several offerings or return to the Rhone with my favorite, their 2014 Grenache or 2014 Mourvedre both $18. Great values for two delicious wines. South Coast also includes a nice portfolio of sparkling wines so as you can see from the range of offerings, a must visit. 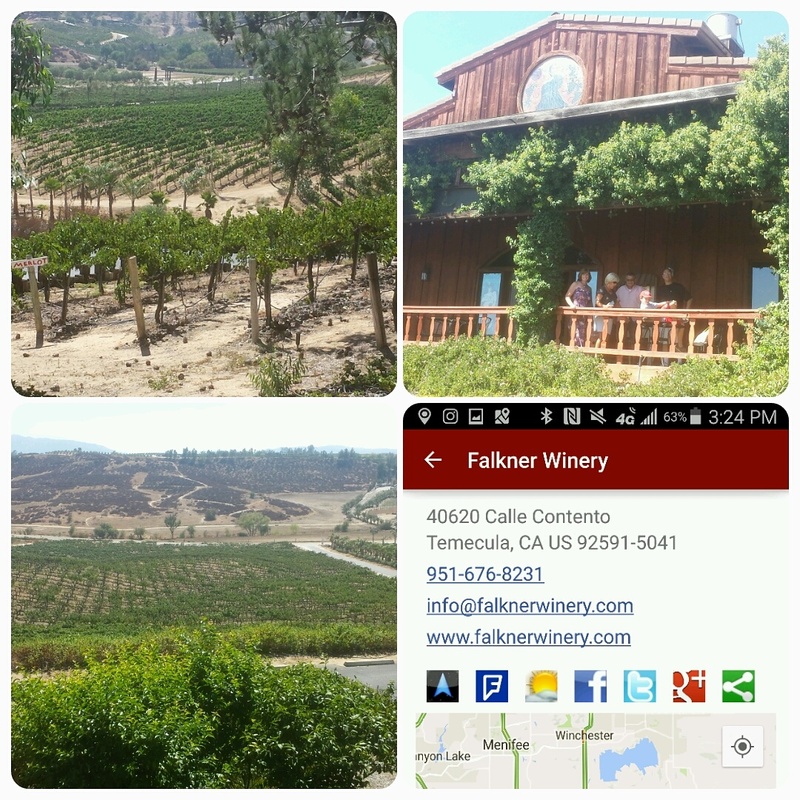 The next stop was to Falkner Winery, primarily because they had answered a tweet I had posted on suggestions. The winery is much smaller, but includes a restaurant, and provides a grand view of the surrounding countryside. The winery opened in 2000 and specializes in a smaller portfolio of Chardonnay, Cabernet Sauvignon, Riesling, Sauvignon Blanc, Syrah, Merlot, a Meritage, and the "Amante" Tuscan proprietary blend. Prices are much higher than at South Coast, most likely from smaller volumes. The "Amante" ($55) is a big Super Tuscan plenty of leather, tobacco, and fruit. Their off-dry 2015 Risqué Riesling was a group favorite and the wine we enjoyed while studying the scenery on their deck. 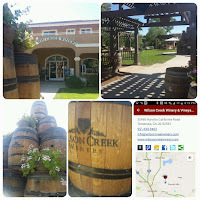 Our last stop was Wilson Creek Winery & Vineyard because our hosts wanted us to sample their specialty Almond Sparkling Wine and chocolate. The Wilson family opened this winery in 1998 and currently run a large operation. This was the most populated of the three with a small wait at the tasting bar. The most interesting wine was the 2014 Variant Series White Cabernet ($26), which was both fully textured and lively. 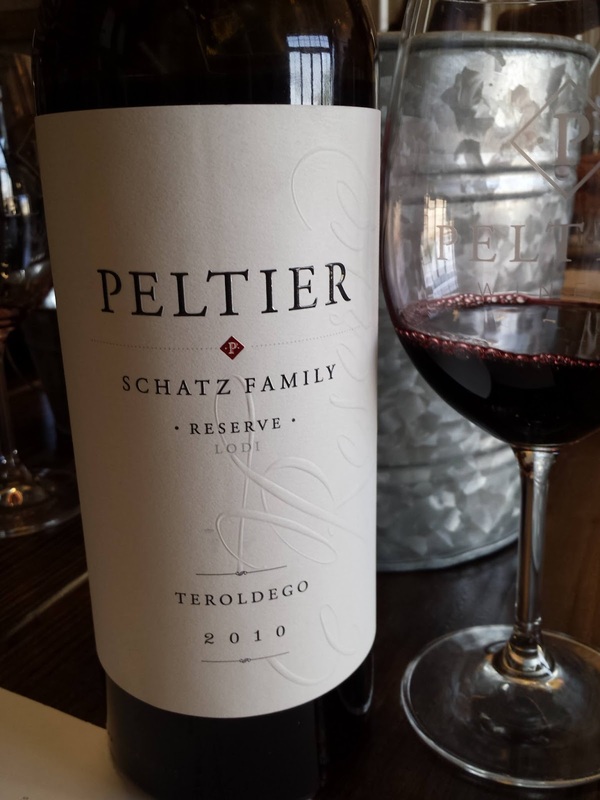 For reds, Syrah and Petite Sirah were the leaders particularly the 2012 Family Reserve Petite Sirah ($65). Pricey yes, but also big and bad. They also provide a range of low cost sparkling wines like the Almond which seemed rather popular. Take a glass and walk down to the shallow creek and try to find the crawfish. 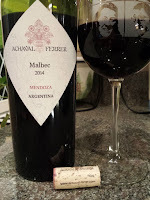 Achaval-Ferrer Malbec 2014 ($25.00) - 100% Malbec sourced from the three main vineyard with altitudes ranging from 3,150 to 3,600. The fermented wine is aged 9 months in French oak barrels. This is a savory Malbec, both juicy and dirty where the spicy leathery nose is similar at the tail. Expect a medium tannic finish. 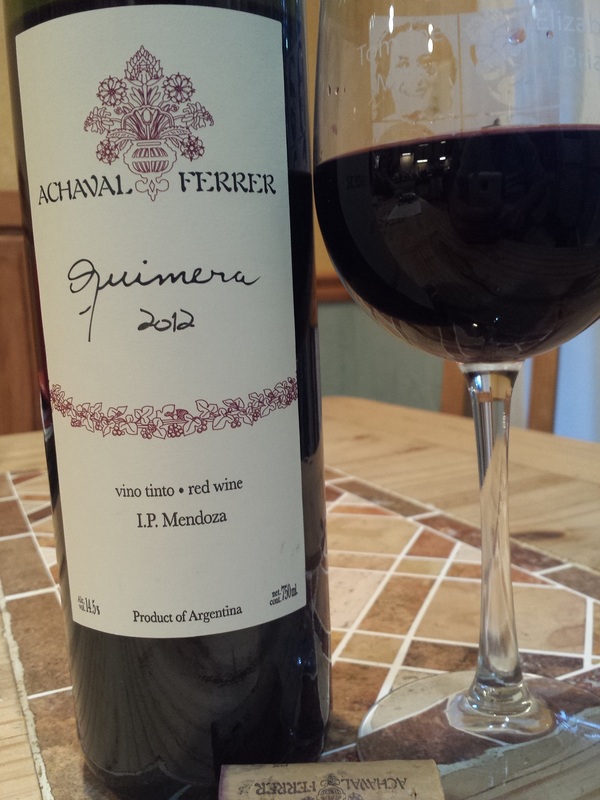 Achaval-Ferrer Quimera 2012 ($34.99) - This is a Bordeaux styled blend with 50% Malbec, 70 year old vines from Medrano and Luján from Cuyo; 24% Cabernet Franc, from Tupungato; 16% Merlot from Tupungato; 8% Cabernet Sauvignon, old vines of Medrano and Tupungato; 2% Petit Verdot. Predetermined blocks are harvested for this wine and then fermented. After fermentation the winery selects the best barrels from each grape variety, blends them, and ages 12 months in French oak barrels. The bottle's back label includes all the technical notes and recommends to decant one hour before serving. I followed that recommendation. There's plenty of dark fruit in this wine, followed by a heavy dose of chewy spices. It carries some dirt and tobacco; structured, balanced, and acidic. And the finish lingers.... Nicely done. Much more complex then your standard 100% Malbec. Reminiscent of Geo Gonzalez in his prime, throwing a diet of curve balls then a deadly fastball for the K. Cheers to Achaval-Ferrer, Protocol Wine Studio, and Argentinian Malbec. What happens when you have five bottles of wine delivered on a 95+ degree day? 'Cause that's what happened to my #GarnachaDay 2016 wines. Apparently UPS didn't share my excitement with the Snooth virtual tasting that evening which featured the Wines of Garnacha and hosted by Master Sommelier Laura Maniec and Master of Wine Christy Canterbury. It was readily apparent that my sample wines were cooked, in other words significantly over heated. The first clue was that the wine bottles were hot to the touch, not just warm, but hot. Second, two corks were protruding form the top lip of their bottles. Third, after uncorking, the cork's sides were streaked with wine that had managed to not only push the corks up when it expanded, but also seep through the cork. And finally, the wines tasted flabby and a little stewed. Oh great. I still attended the virtual tasting and learned that the five wines represented the five Designation of Origin (DO) where Garnacha (Grenache) originated. These DOs (Calatayud, Campo de Borja, Cariñena, Somontano and Terra Alta) are located in eastern Spain, in the wine country just outside of Catalina. The grape thrives in the hot Mediterranean climate with it's well drained soils and cool desert like nights. 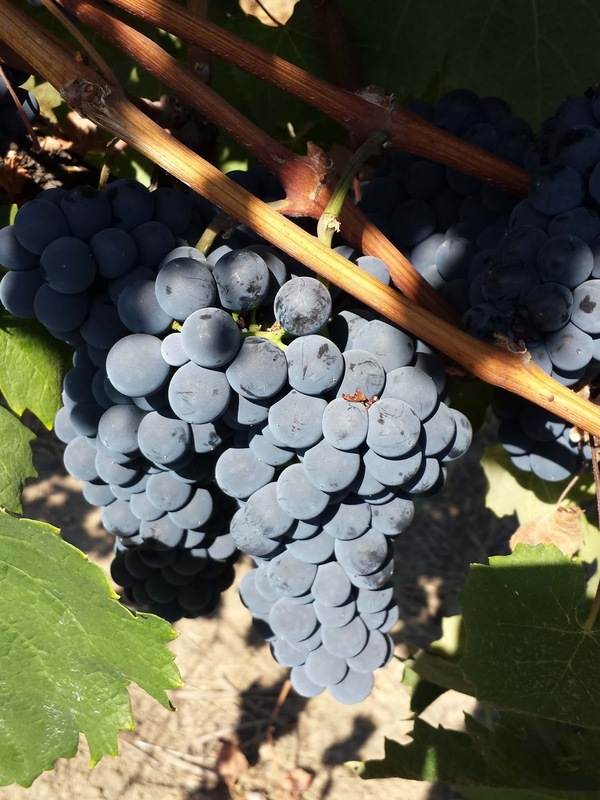 The first written mention of Garnacha is in 1513, making it not only one of the oldest "modern" grapes but also one of the most planted. Let's also not forget about Grenache Blanc or Garnatxa Blanca as it is known in Catalonia. This white grape is related to Garnacha and has found a home in the Rhone where it is France's 5th most popular planted grape. 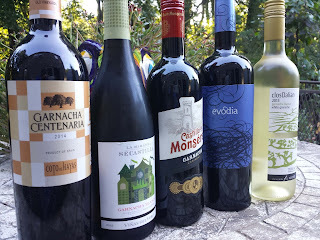 Below are the five wines that were sampled during the virtual tasting with reviews from other participants. And remember these wines were all priced less than $15. Clos Dalian Garnatxa Blanca 2015 - MyVineSpot: Flavors are delicate; texture is nice, and great acidity, makes it a wonderful food. La Miranda de Secastilla Blanca 2014 - TheFrugal WineSnob: YUM! A kiss of oak, petrol..
Evodia Garnacha 2015 - ‏Fiery01Red: A steal for $10.99! Modern rich texture lots of juicy fruit floral notes & spice. Garnacha Centenaria 2014 - MyVineSpot: Always excellent value for the money (approx $13) and a go-to #BBQ #wine. The craft distillery revival is growing steadily in the Free State with 20 distilleries joining the Maryland Distillers Guild. One new member is Dragon Distillery, the first Distillery in Frederick city. The distillery is owned by Mark & Tania Lambert. Mark is a Navy Veteran who's family has been tilling a 200 acre tract of land - located about 25 miles from the distillery - since the mid 1700s. 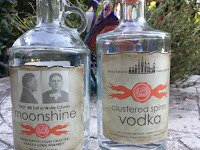 Dragon Distillery offers several products including the "Bad" Bill Tutt Original Moonshine and the Clustered Spires Vodka that my brother-in-law was able to acquire at a local liquor store. The first spirit pays tribute to "Bad" Bill Tutt, Mark's great-grand father who in addition to his medical career was a gambler and moonshiner. 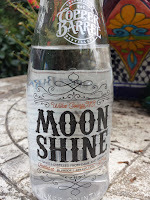 And apparently this moonshine is based on an old family recipe. The vodka pays tribute to the city of Frederick and it's many clustered spires. Great brand stories for these products but I only wish the actual products lived up to the stories. Neither was clean nor smooth as if parts of the heads or tails were included in the hearts. Heavy burn as well. Between six of us who have sampled, none gave the thumbs up. Let's hope this was just a flaw in an early batch and future runs are cleaner. For those attending the Bristol Rhythm & Roots Reunion next weekend (September 16-18), there will be plenty of local beer options to pair with the always talented music lineup. Two breweries, Bristol Brewery and Studio Brew are located within (or just lining) the festival boundaries and Abingdon's Wolf Hills Brewing Company is available at several beer gardens and establishments. Bristol Brewery is located adjacent to the Piedmont Stage so appropriately their Piedmont Pilsner is an appropriate choice for daytime listening. For the headliners such as Buddy Guy and Cracker go for the Sunset IPA. Studio Brew's visible brick home is situated across the street from Cumberland Square Park and one hopes they will be pouring at the beer garden near that stage. I'd stay away from their higher abv barrel aged beers until after hours when Unknown Hinson and Houndmouth blast. the stage. During the day dance along with Scythian the hydrate with a pilsner and wit. There are several other beers and breweries that should be available. I can't remember which venue poured the Wolf Hills Cream Ale but expect that beer to be available somewhere within the grounds. Or plan a detour into Abingdon on your drive down Friday. In the past, Highland Brewing Company has had a presence and I would think the Devils Backbone will this year due to the monopoly distribution from ABI. In any case, take advantage of the many shuttles to the area hotels and drink local craft beer. 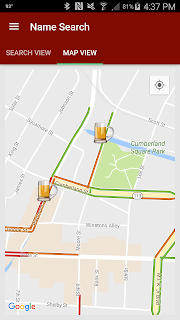 And remember, theCompass Winery, Brewery, Distillery Locator Mobile App has you covered for finding local breweries. Cheers. 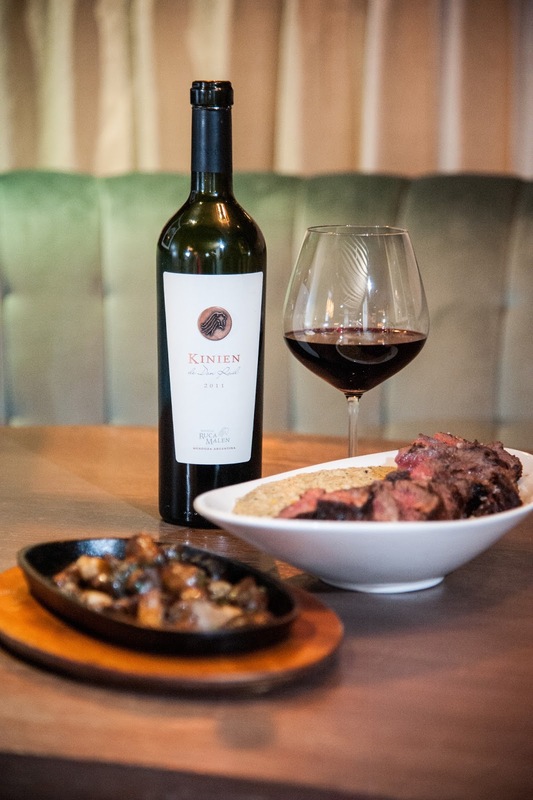 In August 2016, Ruca Malen Winemaker Pablo Cuneo and Chef Lucas Bustos brought The Andes Kitchen to the US, offering food and wine pairings in three cities: NYC, Chicago, and Washington DC. The event is a "celebration of the cuisine of the indigenous people of Argentina artfully paired with award-winning wines". 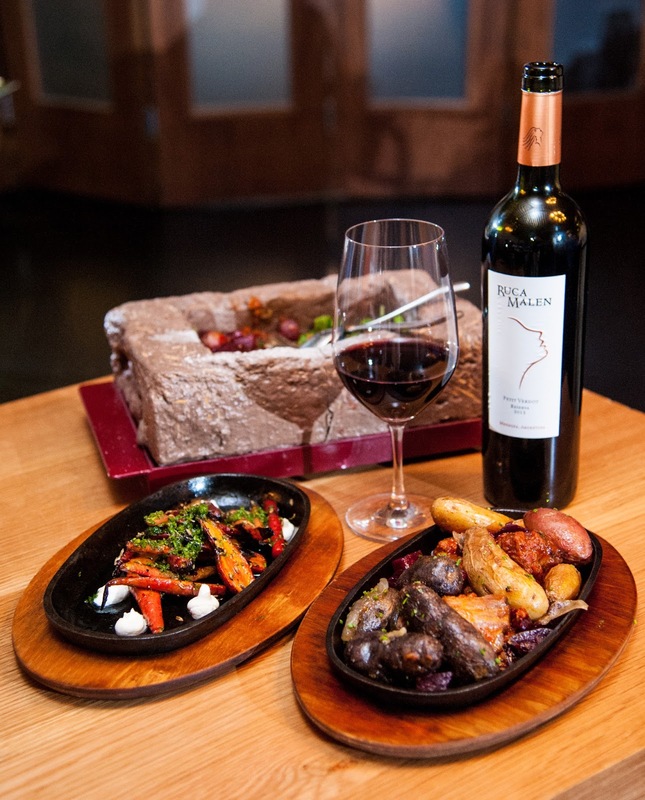 In DC, the winery partnered with Rural Society, an Argentine steakhouse where the kitchen is lead by Chef Louis Gora. 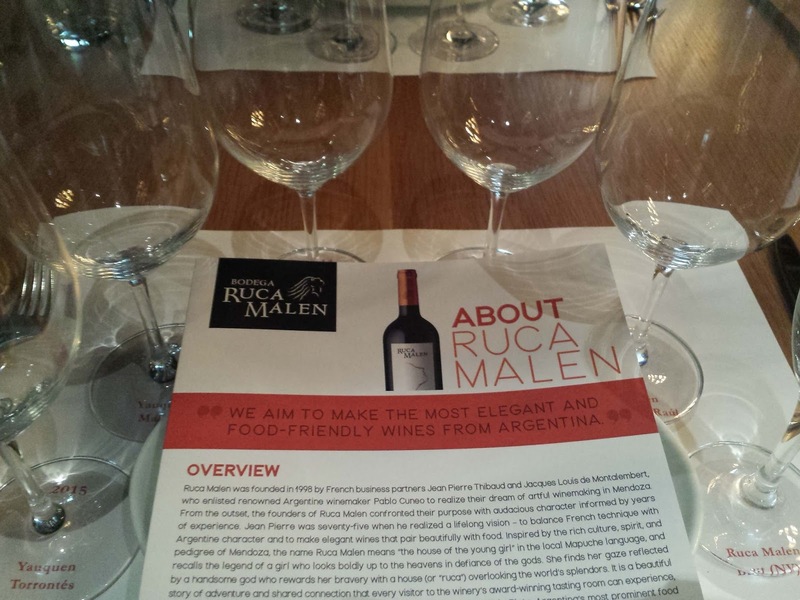 During the wine pairing seminar, Gora's team provided a small course specifically tailored to each Ruca Malen wine. 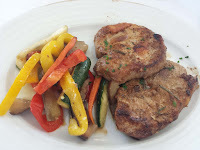 And Chef Lucas Bustos noted that the onsite restaurant at the winery provides the same service for vineyard visitors. Here are the wines and food pairings at Rural Society and the photos are courtesy of Gregory White PR. According to an ancient local legend, love between Gods and mortals was forbidden. Therefore, Mapuche women always walked looking down, fearing to meet the piercing gaze of a beautiful God. But one day, a Mapuche woman, the most daring of them all, raised her head, and when she met the eyes of the God she instantly fell in love. The God, touched by her love, offered her an elixir to join the eternal beings. In return she gave him a home, "the young girl's house", so that they could create together a new lineage of legendary Gods. Yauquen Torrontés 2015 ($12.99) - Grapes sourced from high altitude Salta. This wine is fresh, soft and fruity with an early harvest providing more citrus flavor. Loads of aromatics as well. Pair with empanades, spicy Thai, or during our course Montedito (a flavorful topping "riding" on a small slice of baguette) consisting of Morrone: roasted peppers, eggplant, goat cheese and anchovies. 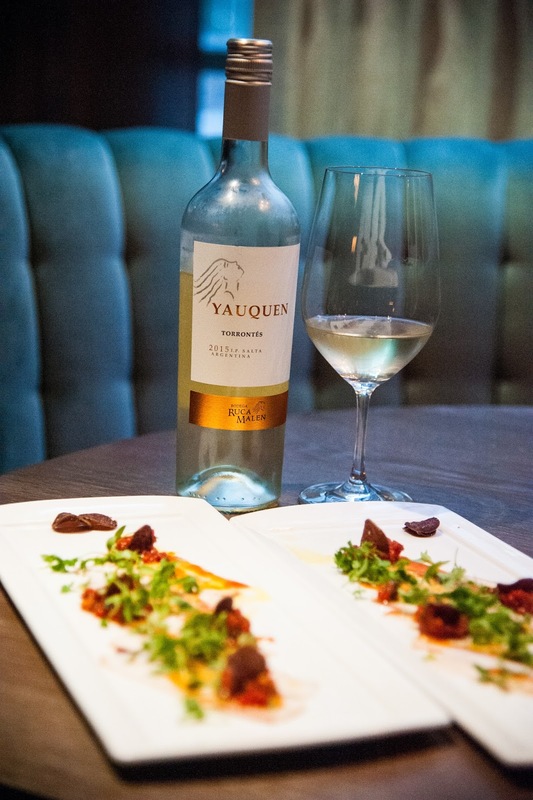 Yauquen Malbec 2014 ($12.99) - The gapes were sourced from two vineyards (Lujan de Cuyo - 3,115 feet above sea level & Uco Valley - 3,600 feet above sea level) and fermented in stainless steel. This is a fruit forward juicy wine with plenty of acidity and lingering tannins. Paired with anther Montedito of smoked tomato, Serrano ham, and guindilla. 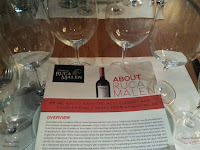 Ruca Malen Reserva Malbec 2014 ($18.99) - The grapes sourced from two regions - one providing herbal qualities, the second more fruit character. The wine was aged 12 months in 80% French Oak and 20% American Oak. This is a very smooth wine with concentrated fruit, mild saltiness, a little caramel and vanilla as well as a structured finish. Paired with Fugzza - Alcachofa (grilled artichoke, black olive, orange) and Tradicional (Confit onion, mozzarella, oregano). 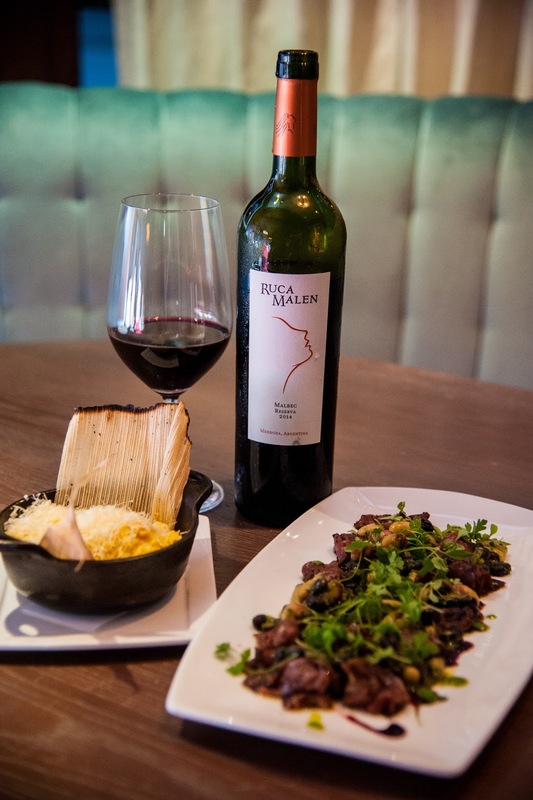 Ruca Malen Reserva Petit Verdot 2013 ($18.99) - Grapes grown in a vineyard planted in 2000 located in Agrelo, Lujan de Cuyo. The wine was aged 12 months in 80% French Oak and 20% American Oak. This is a big and complex wine of dark black fruit and more tannic than the Malbec. 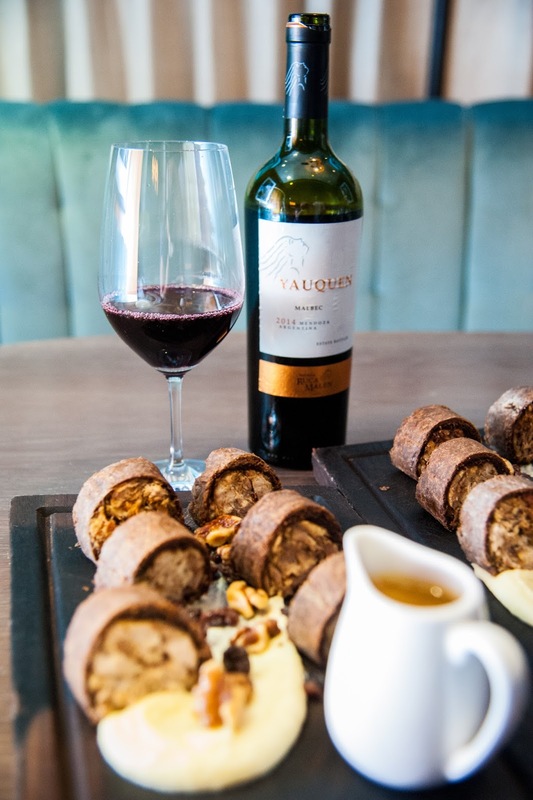 Pair with juicy meats such as Salchicha (sausage) like Chorizo Gaucho (beef and port sausage) or Morcilla (Blood sausage, raisins, and pine nuts). Kinien de Don Raul 2011 ($75) - 64% Malbec, 15% Petit Verdot, 11% Cabernet Sauvignon 10% Syrah. This was the jewel of the seminar, named in honor of Don Raúl de la Mota, one of the founding fathers of winemaking in Argentina. Each varietal wine separately spends 12 months in new oak barrels plus an additional 6 months after assemblage. This is a big and intense wine, yet elegant and smooth; fruity and spicy. The wine was paired with two Pintxos: Res (Wagyu beef, chimichurri), and Setas (mushrooms). 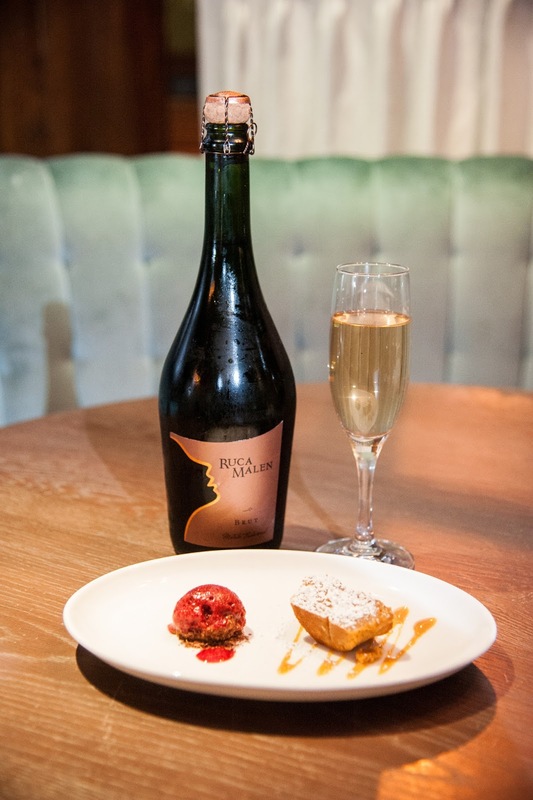 Ruca Malen Brut Sparkling Wine NV ($27.99) - 75% Pinot Noir, 25% Chardonnay from Tupungato, Uco Valley. The still wine spends 18 months on their lees which provides a silky creaminess to the otherwise effervescent wine. Paired with red cake and tres leches. 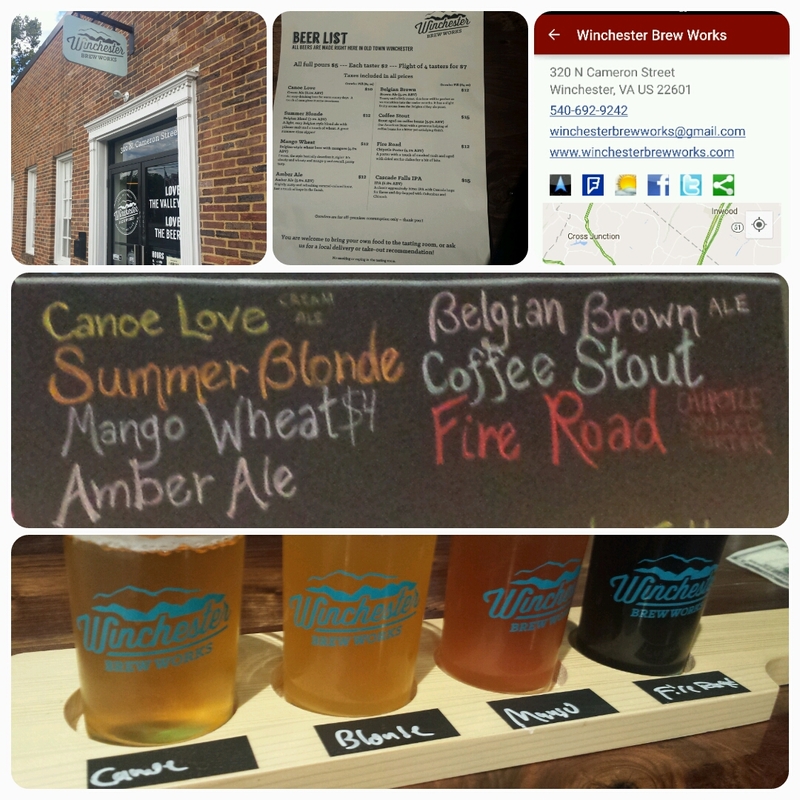 Winchester is a decent road trip for us so we parlayed a trip to Wilson's Wild Animal Park to visit three downtown Winchester breweries for our #VABreweryChallenge. 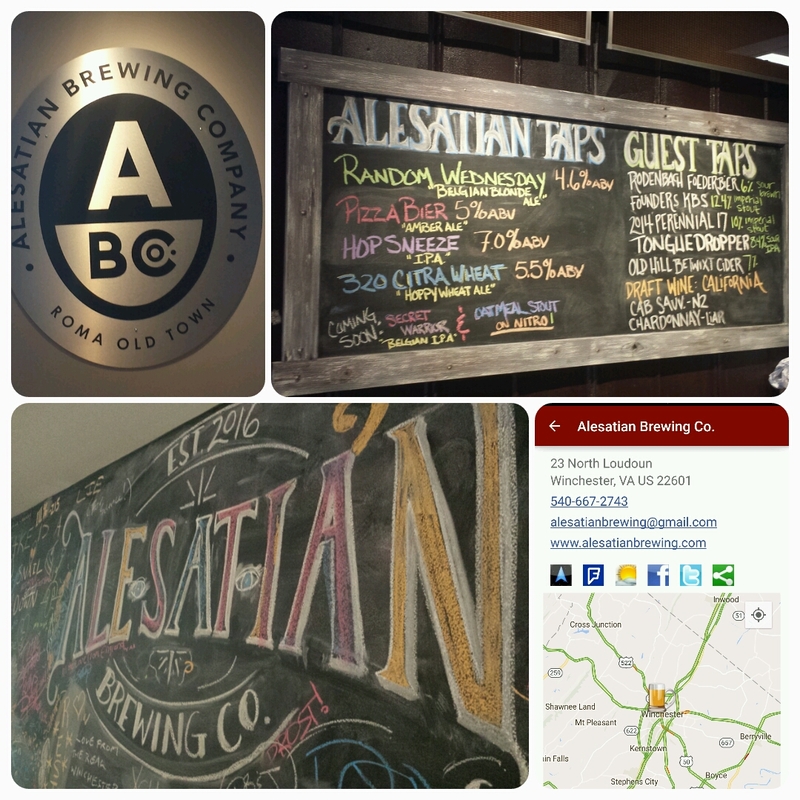 Our first stop was the nano-est of breweries, Alesatian Brewing Co. (#46), located above the Roma Old Town Wood Fired Pizza on the pedestrian mall. Expect a rapid change in their portfolio as they brew small batches and only sell through the tasting room and the pizzeria. 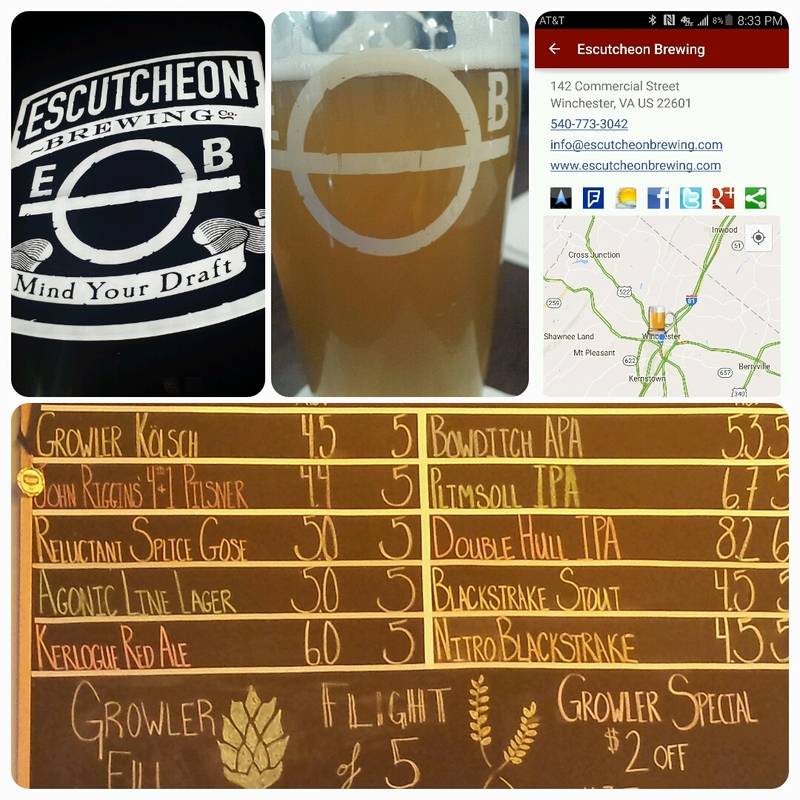 We sampled through their fours beers, as well as the delicious Old Hill Betwixt Cider. The Hop Sneeze IPA is a solid India Pale Ale and the Random Wednesday a fill bodied Belgium Blonde. And the Pizza Bier was a balanced, not overly malty Amber ale. Nicely done. Another nice feature, crowlers are available. Winchester Brew Works (#47) sits just north of the mall - easy walking though. 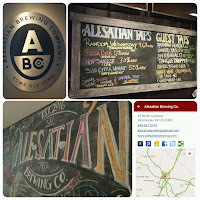 They are slightly larger than Alesatian with both a larger beer menu and tasting area. In fact a 40th birthday party was in full gear. I had a flight of four as well as a sip of yet another solid IPA - the Cascade Falls IPA. The flight beers were also solid and well made with the Canoe Love Cream Ale and Summer Blonde both very flavor-able paler beers. The Mango Wheat was very unique with the fruit overwhelming the bready character. 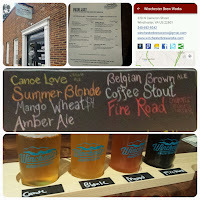 My favorite was the Fire Road Chipotle Smoked Porter. The spices and smoky character are subtle and integrate nicely with the chocolate flavors. Very nice. 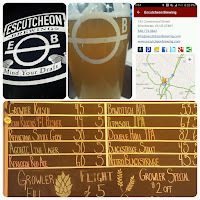 A littler farther north of the downtown mall sits the largest of the three, Escutcheon Brewing (#48). Their production is large enough where they distribute kegs and canned produce to the DC suburbs. It seems like their minerally and nicely hopped John Riggins 4th & 1 Pilsner is widely available. Being a lighthouse guy, I enjoyed viewing their nautical inspired tasting room and themed beer names. The Plimsoll Mark on their logo incorporates the maximum draft or safe limit to which a ship may be loaded - and in our case the maximum draft beer to consume. Thus we sampled lightly - for me the slightly tart Reluctant Splice Gose. Another nice offering I've had previously is their Agonic Line Lager. Your biking or lawnmower beer. 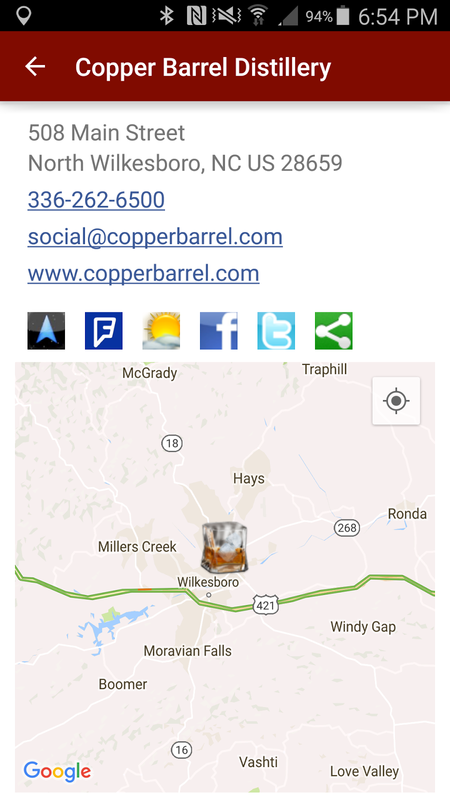 Cheers and as always theCompass Winery, Brewery, Distillery Locator Mobile App can guide you to these breweries. After tasting several wines from Peltier Winery & Vineyards during the #WBC16 Thursday night after party at Scotto Cellars, I scheduled a winery visit with owner Rod Schatz and Director of Marketing & Design Ian Bender. 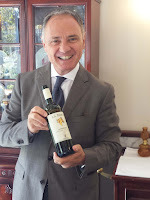 Besides being very welcoming, the primary incentive was to see and taste more of the winery's Reserve Teroldego - the northern Italian cool climate grape from Trentino. 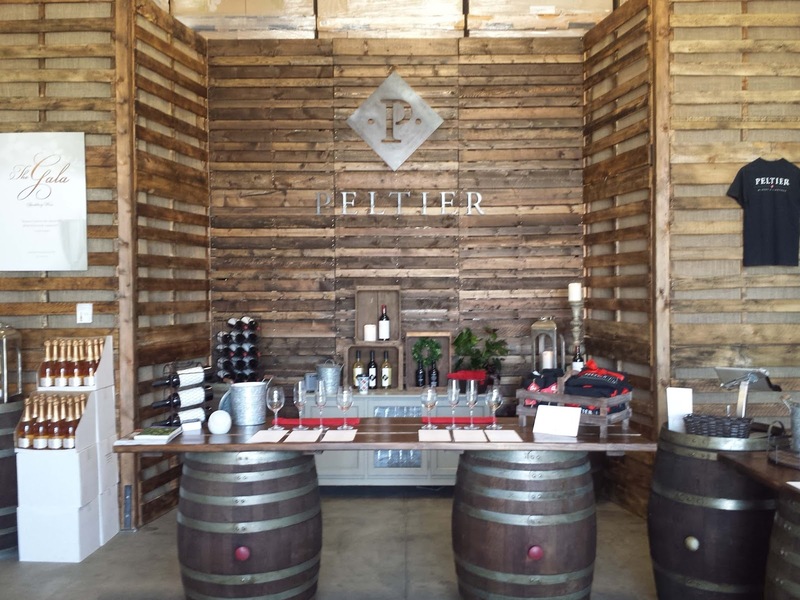 You may be familiar with Peltier as Peltier Station. Bender instigated a brand and name change since the "station" part of the name wasn't really relevant, although railroad tracks do run past the winery. 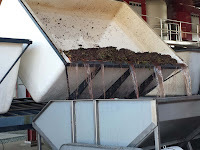 I was able to persuade SanCrittenden to join me and Ian met us early Saturday and proceeded to provide a tour of the winery: from the crush pad, through the fermenting tanks, and into vineyards. During out visit, truck loads of freshly harvested Pinot Gris arrived as shown in the video below and Schatz had fired up the grill to BBQ lunch for the staff. 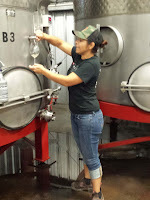 We also met newly hired winemaker Susana Rodrigeuz Vasquez, who allowed us to sample freshly fermenting juice. Oh so delicious. Vasquez comes from Constellation Brands where she managed the Chardonnay program and is expected to boost Peltier's white wine portfolio. In the vineyards we walked through gnarly Old Vine Zinfandel as well as heavily canopied Teroldego. 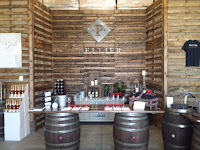 We finished the tour in the tasting room where we tasted through the Peltier and Reserve brands. The whites include a light and graceful Vermentino, a tropical bright California-styled Sauvignon Blanc, and a silky smooth Preeminence blend of Viognier and Sauvignon Blanc. For the reds, the Old Vine Zinfandels, the Black Diamond and Peltier are fantastic. The 2014 Triomphe blend of Petite Sirah, Teroldego, and Cabernet Sauvignon is velvety smooth, finishing with dark chocolate. The Reserve Teroldego is much more tannic than I had remembered and the Reserve Cabernet Sauvignon a bold, bold wine. The tasting concluded with a delicious port styled USB made from Zinfandel. Excellent. Thank you Ian, Susana, and the Schatz for a fantastic visit. Cheers.